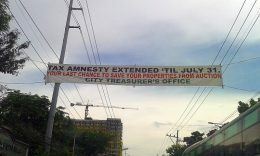 I just found this notice for Quezon City taxpayers yesterday and thought of sharing it here. 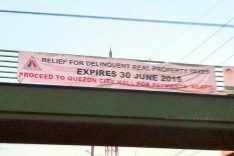 The Quezon City Treasurer shall be holding a tax foreclosure auction sale of all real properties with delinquent tax payments and it will be held on October 7, 2010, at the ground floor, Taxpayer’s assessment and payment Lounge, Quezon City Hall. The full text of notice follows. 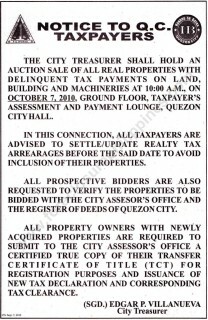 THE CITY TREASURER SHALL HOLD AN AUCTION SALE OF ALL REAL PROPERTIES WITH DELINQUENT TAX PAYMENTS ON LAND, BUILDING AND MACHINERIES AT 10:00 AM, ON OCTOBER 7, 2010, GROUND FLOOR, TAXPAYER’S ASSESSMENT AND PAYMENT LOUNGE, QUEZON CITY HALL. IN THIS CONNECTION, ALL TAXPAYERS ARE ADVISED TO SETTLE/UPDATE REALTY TAX ARREARAGES BEFORE THE SAID DATE TO AVOID INCLUSION OF THEIR PROPERTIES. 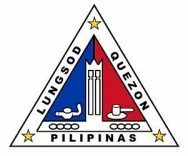 ALL PROSPECTIVE BIDDERS ARE ALSO REQUESTED TO VERIFY THE PROPERTIES TO BE BIDDED WITH THE CITY ASSESOR’S OFFICE AND THE REGISTER OF DEEDS OF QUEZON CITY. 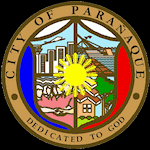 ALL PROPERTY OWNERS WITH NEWLY ACQUIRED PROPERTIES ARE REQUIRED TO SUBMIT TO THE CITY ASSESSOR’S OFFICE A CERTIFIED TRUE COPY OF THEIR TRANSFER OF CERTIFICATE OF TITLE (TCT) FOR REGISTRATION PURPOSES, AND ISSUANCE OF NEW TAX DECLARATION AND CORRESPONDING TAX CLEARANCE. 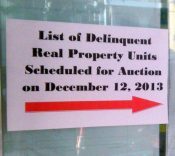 Sorry guys and gals, I don’t have a copy of the complete list of Quezon City tax delinquent properties for sale on October 7, 2010, I only got the notice. The complete list of tax delinquent properties for sale is now available. Click here to view the complete list. Keep in mind that the list will grow shorter as I am hoping that residents with tax delinquencies will settle/update all their realty taxes prior to the auction. If you are interested on joining the tax foreclosure auction and want to get a copy of the tax delinquent properties for sale, I highly suggest that you drop by the Quezon City Taxpayer’s Lounge and get a copy from their office directly. It is open from Mondays to Fridays, 7:00 AM to 5:00 PM, except during January of every year when the City Treasurer’s Office is open 7 days a week. 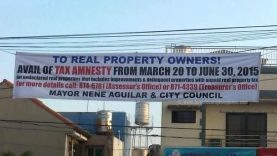 If you will notice, the Quezon City Treasurer’s office has been regularly conducting their tax foreclosure auctions on a quarterly basis. I checked their website and found the following schedule, so it’s confirmed, they will auction tax delinquent properties on a quarterly basis, at least until the end of 2010. Want to learn more about investing in tax delinquent properties?